Have excess inventory of Cisco X2, SFP, QSFP or other optical transceiver modules you want to sell? NetEquity.com buys Used and New Cisco optical transceivers, including 1000BASE (Gigabit), 10GBASE (10 Gigabit), 40GBASE (40 Gigabit) and 100GBASE (100) Gigabit network transceiver modules. Contact our buyer agents today with details on the Cisco transceiver modules you are interested in selling and receive a competitive buyback quote. We Buy and Sell Cisco Gigabit, 10GBE, 40GBE and 100 Gigabit Optical Transceiver Modules . 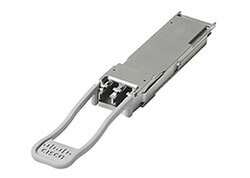 Interested in Buying or Selling Cisco Optical Transceivers? Contact us today! Are you a Buyer looking for pricing on New or Refurbished Cisco optics? NetEquity.com provides on-hand inventory and competitive pricing on New and Refurbished Cisco optical modules including GBIC, SFP, CWDM, DWDM, X2, XFP, QSFP modules, and more. NetEquity Refurbished Cisco Optical Transceiver are professionally Tested and in Excellent Cosmetic and Functional Condition, fully tested by Certified Engineers and inspected for OEM Authenticity. We take great care to ensure that only Cisco OEM Original Optical Modules are available to our customers. Our Refurbished Cisco Optical Transceiver Modules include are ready to install out of the box. In addition to offering extremely competitive pricing on Refurbished Cisco Optical Module Products, we also offer a full 1-Year replacement warranty for End Users on all Refurbished Cisco products. We also maintain a very large standing inventory of the most popular Cisco Optical Transceiver models and accessories, ensuring that we have what you need IN STOCK, with no long lead times. Cisco Gigabit Ethernet SFP Modules - GBIC transceivers and Small Form-factor Pluggables (SFP) transceivers for Gigabit Ethernet and Fibre Channel appications. Cisco DWDM GBICs - WDM transport directly with Cisco Gigabit Ethernet switches and routers. NetEquity.com wants to buy your used, excess or end-of-life Cisco optical transceiver modules. If you are interested in a trade-in or upgrade, we can help. We purchase excess inventory of authentic, Cisco OEM optics including SFP, QSFP, X2, XENPAK and other optical fibre modules. Contact us today to sell, consign or trade your unwanted Cisco optical modules.